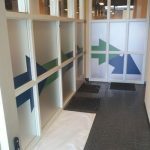 Generate excitement about your newest and best products and/or solutions with appealing custom window graphics! If you are marketing specified goods and services, you wish to offer privacy to your clients inside, or purely wish to show your prospective clients about your specific services, brand-building vinyl window graphics and signs get your business and brand recognized and remembered. 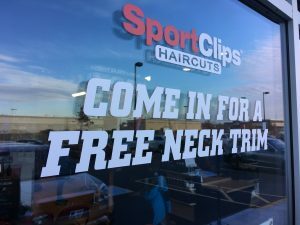 SignEdge is your dependable community vinyl signs and graphics provider, crafting eye-catching window graphics, decals, clings, and signs that keep your business top of mind. SignEdge manufactures eye-catching, engaging window lettering, graphics, and wraps for improving brand visibility. 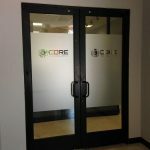 Our seasoned vinyl window graphics experts produce durable window graphics that are cohesive with your existing marketing and branding efforts, support your business marketing goals, and sell your services and products. Our team works diligently to generate the ideal custom signage products to support your business promotion efforts. 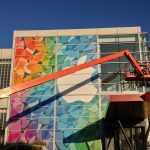 We find out about your brand in order to make educated recommendations for custom signage solutions that go beyond expectations. 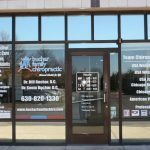 Our team of experts are ready to help support your business and marketing goals with affordable window graphics, wraps, lettering, signs, banners, and more. Retailers commit a lot of time and effort on conceptualizing their custom promotional window displays. An effective window display is devised to bring interested likely buyers in your facility. 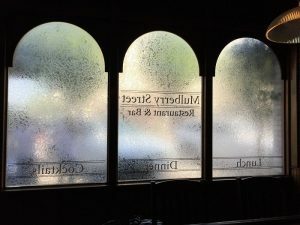 When you’re marketing a special sale, event, or promotion, or want to enhance sales connected to a high-demand, seasonal item, exciting window displays are an excellent way to accomplish this. Traditionally, full window displays are refreshed regularly to display the hottest, latest items your shop provides. SignEdge delivers brand-building window signs and graphics to advertise your special sales and events and high-ticket goods in an exciting way that will generate more guests. Multi-office buildings, like real estate agents, law firms, insurance brokers, counselors and therapists, service professionals, and many other business categories, take advantage of customized vinyl window film on their exterior windows for promotion, branding, or privacy functions. Our dedicated staff of professionals manufacture privacy film that gives the same physical appearance as a frosted glass window panel, minus the hassle and expense of entire glass panels. Integrating your company name, logo, and other branding elements into your privacy film is an excellent method for increasing your branding efforts while still maintaining appeal. 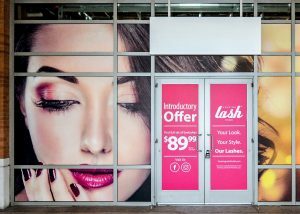 Our custom signage experts will deliver an exclusive privacy film specific to your business and customers, or supply good examples of commonly chosen vinyl film solutions that will support your branding and business goals. Even a service provider can attract more clients with an impactful branded window display! 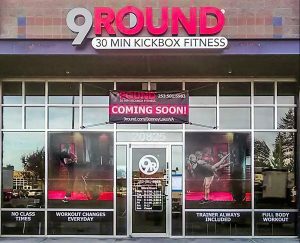 Promote your brand and business with custom murals, banners, posters, graphics, or lettering displaying your distinct solutions, specific offerings, or even integrate an eye-catching display that shows how you can help potential new clients. Our knowledgeable custom sign and graphics consultants work along with you to generate the perfectly branded display that you desire. We take care of custom display fabrication as well as the skilled installation of your durable branded graphics. Your community signage products provider, we produce the window displays, signs, lettering, banners, graphics, or posters you need to promote your brand and business visibility and increase new client generation. Call SignEdge today at (705) 999-5332 for your Free Consultation with a Window Graphics Specialist!